Doggies on the Catwalk returns this year for its biggest show to date. 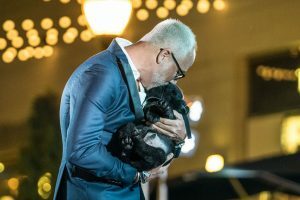 Celebrating 11 years of philanthropic success, Doggies on the Catwalk’s founder and notable Atlanta personality E. Vincent Martinez is taking this year’s event to the next level–25 levels to be exact. 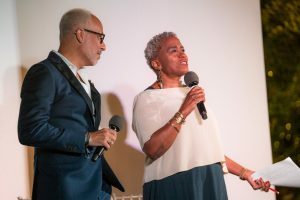 Moving the annual affair to Greenberg Traurig’s Atlanta office at Terminus 200 in the heart of Buckhead, attendees can experience a crowd-pleasing runway lineup that includes adorable pups, local personalities and coveted luxury brands. An unforgettable evening of fashion, fun and philanthropy, Doggies on the Catwalk will be held on Saturday, June 2, 2018 at 7 p.m. and benefits Canine Assistants, a non-profit organization which educates and provides service dogs for children and adults with physical disabilities or other special needs. Premium seating, roof top access, VIP pre-party from 5:30 to 7 p.m., select bar, hors d’oeuvres provided by Le Bilboquet, meet & greet with Whispering Angel’s Paul Chevalier, informal modeling from SAKS, Pop Up Shops, couture candy takeaway by POP Events, available for $225. Reserved seating, roof top access, VIP pre-party from 5:30 to 7 p.m., select bar, hors d’oeuvres provided by Le Bilboquet, meet & greet with Whispering Angel’s Paul Chevalier, informal modeling from SAKS, Pop Up Shops, couture candy takeaway by POP Events, available for $175. Select bar, Whispering Angel, hors d’oeuvres, Pop Up Shops, couture candy takeaway by POP Events, limited seating available on a first come, first serve basis, available for $75. Finally, tickets are on sale now and can be purchased at www.fashionado.net/doggiesonthecatwalk. Doggies on the Catwalk will be held on Saturday, June 2, 2018 at 7 p.m.